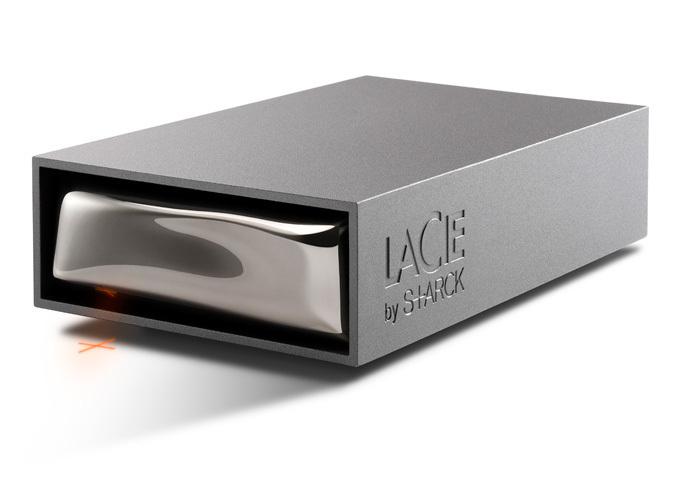 LaCie, in collaboration with world-famous designer Philippe Starck, announced the LaCie Starck Desktop Hard Drive and the LaCie Starck Mobile Hard Drive. The new products showcase more than just Starck’s iconic signature; there is an intellect revealed throughout each component of the design. Complementing Starck’s design philosophy is an intelligent surface that responds to your touch. Exclusively featured on the LaCie Starck Desktop Hard Drive, you can customize the touch-sensitive surface to open an application of your choosing with the touch of a finger. It’s an easy, efficient way to streamline your digital life. Encased in sturdy aluminum, the LaCie Starck Desktop Hard Drive and LaCie Starck Mobile Hard Drive offer the most resistant choices for consumer hard drives on the market. The durable exterior protects the hard drives from shock and overheating, making them thoroughly dependable. 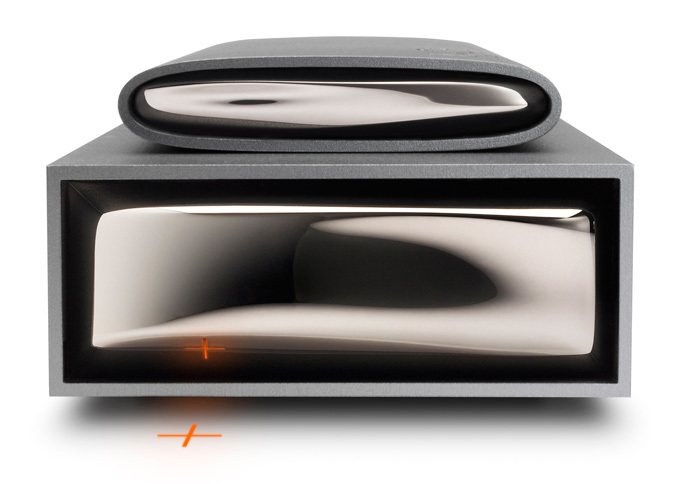 The LaCie Starck Desktop Hard Drive features a status LED in the form of Starck’s signature symbol. The symbol glows orange or green to indicate different activity. 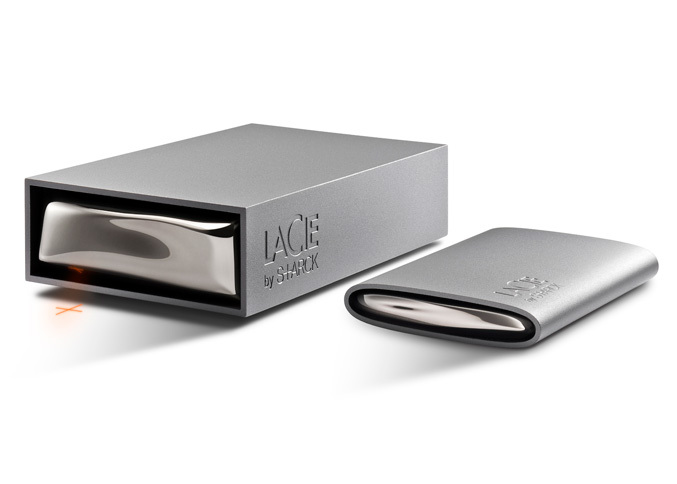 The LaCie Starck Mobile Hard Drive offers a built-in USB cable, uniquely placed for convenient storing and data accessibility. 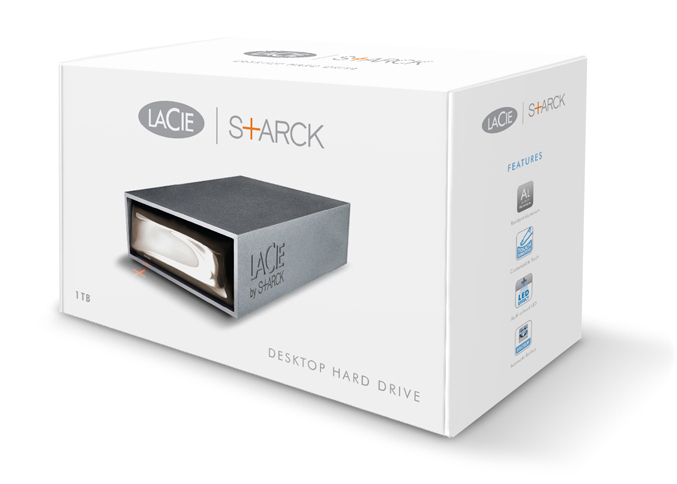 The LaCie Starck Hard Drives come standard with the versatile USB 2.0 interface, making it a user-friendly companion to your PC or Mac®. In addition, the drives come with one of the most robust software bundles on the market—including LaCie Backup Assistant and LaCie Desktop Manager—helping you format, back up and customize your hard drive. Fifteen years after LaCie’s first collaboration with Philippe Starck, which resulted in the award-winning “Toaster” hard drives, the new Starck Hard Drives underscore the importance of developing products that are as functional as they are beautiful. 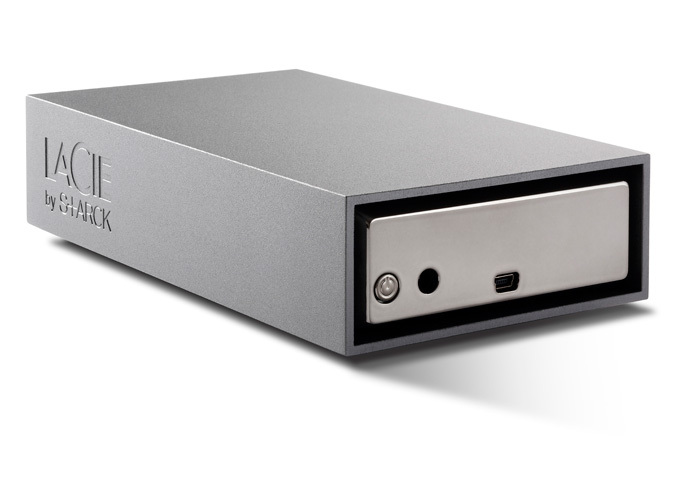 The LaCie Starck Desktop Hard Drive is available in 1TB and 2TB capacities, and the LaCie Starck Mobile Drive in 320GB and 500GB capacities. Products are available at LaCie Online Store, LaCie Corner, LaCie Reseller+, and through authorized resellers and retailers, starting at the suggested retail price of $129.99 for the Desktop and $99.99 for the Mobile (excluding VAT). For more information, visit www.lacie.com. For more than 30 years, Philippe Starck has been creating objects that have had an impact on the world. Designs such as the revolutionary lemon juicer or the transparent Louis Ghost chair have become cult items. He is also credited with setting the standard for creating classic hotels all over the world. His recent projects have included the artistic direction of a spaceport in the USA, a 120-meter yacht, and a personal windmill. Philippe Starck is a tireless and rebellious citizen of the world, who considers it his duty to share his ethical and subversive vision of a fairer world. He stays tuned in to our dreams, desires and needs— sometimes before we get there ourselves—by making his work a political and civic act, which he accomplishes with love, poetry and humor. For more information visit www.starck.com.